Carnac's Enduro and XC MTB helmets are designed to offer best in class protection and as you'd expect from Carnac they are packed full of smart design features and as comfortable as any helmet. Featuring dual-shot in-mould construction, 3-way adjustable fit, removable anti-bacterial comfort pads and front facing insect meshes the Carnac XC and Enduro MTB helmets are as technically advanced as they are good looking. Because we want everyone to be able to ride the best products we have to offer we've slashed the price on both these incredible helmets. 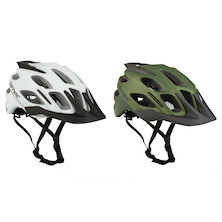 For one week only the Carnac Enduro and XC MTB helmets are available for only £20. What's the catch? There is no catch, apart from the one on the chin strap. Dive in today and ride away with one of these amazing new helmets from Carnac. With the Carnac XC helmet protecting your head there's one less thing for you to think about while you ride. Designed with XC racing and trail riding in mind this lightweight marvel offers all-round protection, massive ventilation and easy adjustment. 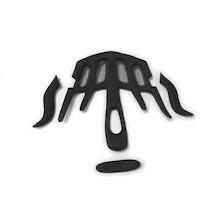 Replacement pad set for your favourite XC MTB helmet from On-One or Carnac.